Hello , This is a PW spear head I made recently as an opportunity to try some new techniques. The blade has a PW core with wolf's tooth and a high layer laminate edge. The socket is mild steel with brazed on mild steel "wings". The socket is forge welded closed and then forge welded on to the blade itself. Socket and wings can be inlaid/engraved etc, upon request. Please message me for details and price. For those interested, further images can be found on my facebook work page https://www.facebook.com/media/set/?set=a.615190518493629.1073741828.145872495425436&type=1 For those who don't use facebook I can send you more images. 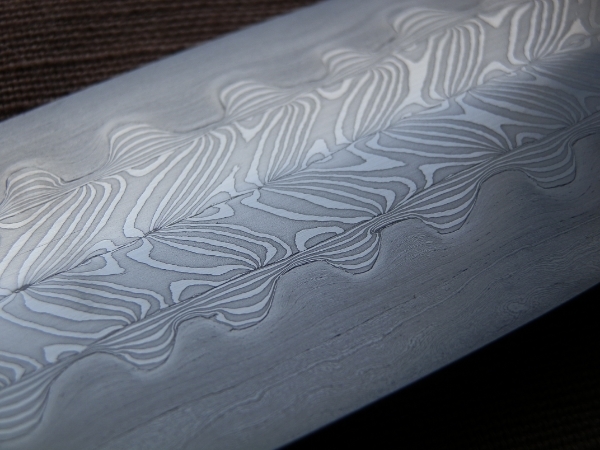 really very nice work,beautiful pattern too. Thank you Rob! It was fun. I had been looking at wolfs tooth patterns for a while wondering how they were made. 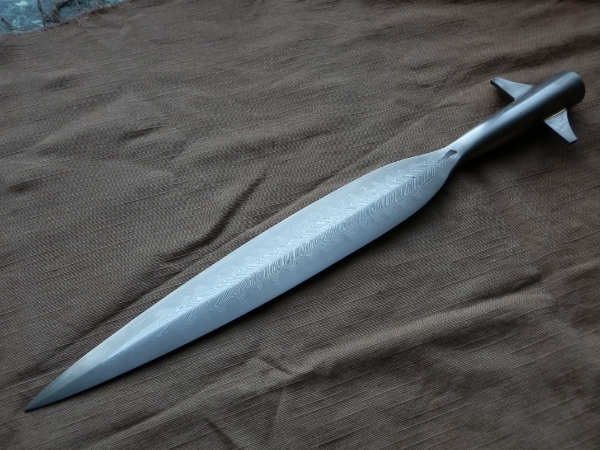 Really great looking spear head and pattern welding, not enough of these are being made. Thanks Jean, I would I would like to make more spears at some point. They can be one of those projects, like axes ,that can have some interesting and satisfying forging involved. The spear is sold pending payment. Thanks everyone! Hello, The spear head is now available once again. Please PM me for details. Thank you everyone! The spear head is now sold.